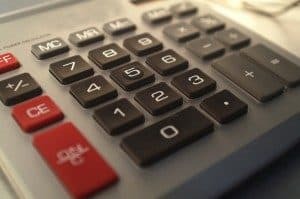 There are beneficial tax consequences that apply to any settlement of a workplace dispute such as an adverse action or unfair dismissal claim. If a worker commences a claim against their workplace and the parties reach a settlement, there is often the daunting issue of how the tax liability for the settlement payment is to be dealt with. In most cases the worker will no longer have a job, and people are often unsure if PAYG is to be withheld. Further, the worker has usually gone for weeks or months without possibly finding another job, and the tax on the settlement money could significantly reduce the settlement amount received. Under the Income Tax Assessment Act, special tax rules apply to payments made to workers during termination known and Eligible Termination Payments (ETP). – a payment made under an early retirement scheme that exceeds the tax-free limit* (only the amount in excess of the limit is an ETP). – a genuine redundancy payment that exceeds the tax-free limit* (only the amount in excess of the limit is an ETP). – a payment made because of the worker’s permanent disability. – compensation payment for personal injury. – compensation for unfair dismissal. – lump sum payments paid on the death of a staff member. an industrial award obligation n recognition of prior service. – a non-genuine redundancy payment. – a payment in lieu of notice. – a payment for unused sick leave. – a payment for unused rostered days off. The ATO has set out a process to apply to work out the tax consequences of the ETP. The ATO has released a guide to help you work out how to calculate ETP tax (click here). The good news is that there is a tax-free limit that apply to ETPs for the 2013–14 income year of $9,246 plus $4,624 for each year of completed service.